After a decade of teaching English in my home country of Korea for an Academy, a Primary School and a mobile tutoring company as well as running my own business at a foreign language school, my whole body suffered from aches and pains. I had joint problems, low energy, a weak immune system and little motivation to do my job. I put it down to being over-worked and stressed, having poor diet habits and eating irregular meals. However, my doctors were unable to provide an exact diagnosis and when my left knee joint flared up I assumed that it was because I had dislocated it when I was young. To aid my body’s recovery I had a couple of acupuncture sessions and used a home treatment of Moxibustion which helped to reduce aches and pains. This experience started my interest in healing and I chose to change my career by studying oriental medicine abroad. Since moving to London as a student in June 2001, I have become even more interested in helping people and learned that I could sense peoples’ pain and aid them. For example my English teacher suffered from bad headaches. I could sense he had tensed shoulders and administered acupressure (Tsubo) on one side of his shoulder. His headache stopped. One of my teachers was a Reiki master and introduced me to Reiki, and I obtained attunement in May 2002. It took time to treat my body, but once I experience the wonderful results I was keen to learn more and help others. When I moved to Inverness, I started to study Complementary Therapies without even realizing Reiki was a part of the course. It was a great time to pursue and I enjoyed it alot. I became more confident about treating people during my case studies of TCM Reflexology, Sports Therapy and Clinical Aromatherapy. When I achieved my HND qualification I decided to start my own business “HARMONY” based on my client relations. 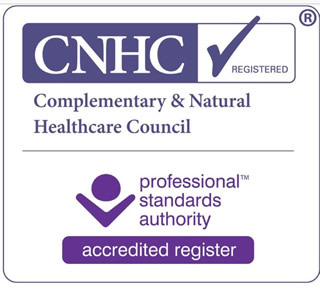 Furthermore, I have achieved my BSc Complementary Therapies, Reflexology (2008) in Napier University in Edinburgh when I was working as a complemtary therapist in Inverness. And then I continued on to achieve BA(Hons) Complementary Healthcare in Edinburgh Napier University. I wrote a reflexology dissertation (2010) about hands on treatments that was titled ” A qualitative exploratory study into the effects of reflexology treatment for a mixed gender group of elderly residents in a nursing home”. The responses to the treatments were successful. For instance, stroke patient’s saliva leaking ceased and his speech impairment diminished. Grand mal epilepsy patient’s mobility improved and his speech impairment also diminished. Self empowerment increased. I have helped with many problems including ‘arthritic pains, sinus, sciatic, irregular periods, scanty periods, period pains, PMS, depressions, low immune systems, swollen ankles, swollen legs, ligament torn, muscular pains, skeletal pains, constipations, bad cramps, bad circulations, congested nose, sore throat, ear aches, bloating, low back pains, shoulder tensions, bad headaches, and high/low blood pressure. Multiple sclerosis patients have shown great improvement; MS patients have experienced weight loss form size 24 to 16 and helped nervous system. A client with rheumatoid arthritis and twisted toes became a little bit straight toes due to my reflexology. I have also helped clients suffering from sports injuries and muscular aches and pains – boxers, footballers, kick boxers, bikers, body builders, swimmers, hockey players and many marathon runners. 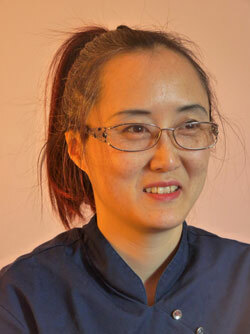 I previously practiced at the Highland Osteopathic Centre at 1 Ardross Street, Inverness, the Ming Chen Clinic at 2 Ness Walk, Inverness and then 61 suilven way, Inverness. I currently offer my services at UNIT 7B, Highland house, 20 longman road, Inverness and at 7 Jeffrey Street, Edinburgh, EH1 1DR.